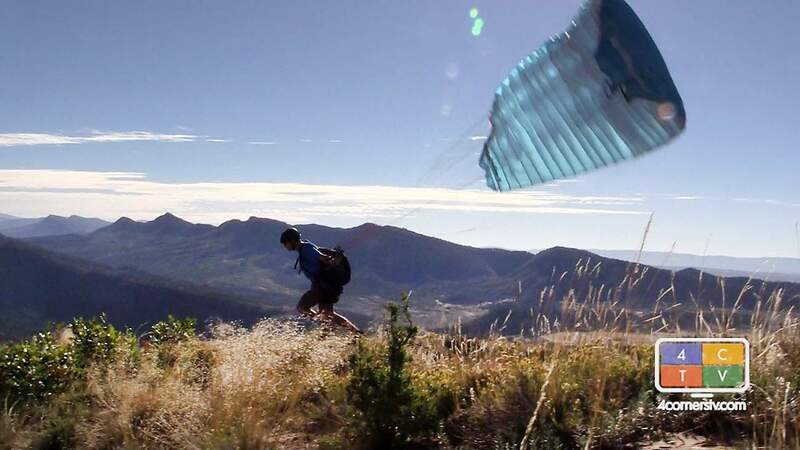 A Durango paraglider has petitioned Colorado Parks and Wildlife to reconsider a decision in 2010 that banned the sport on Smelter Mountain near Durango city limits. Paragliders used to launch off Smelter Mountain and land in the Durango Dog Park. Colorado Parks and Wildlife banned the activity in 2010 based on concerns to public safety. The Durango Police Department opposes paragliding off Smelter Mountain, saying the activity can distract drivers, interfere with residents using the dog park, and could cause problems with radio towers. 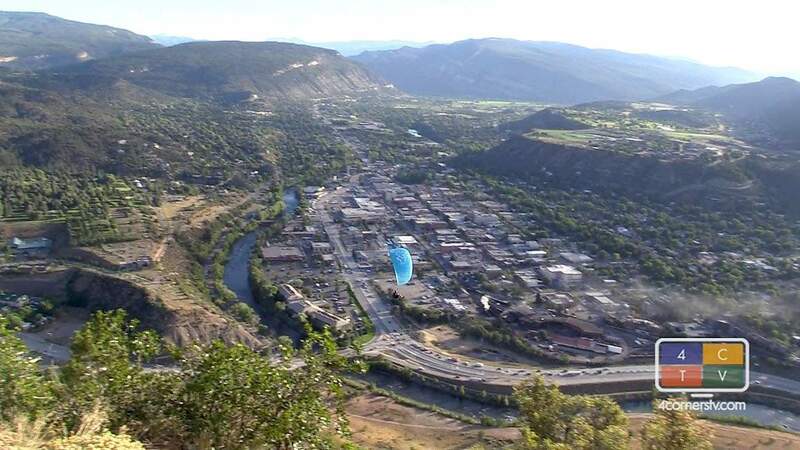 Could paragliders launching off of Smelter Mountain be a regular sight in Durango once again? That’s for the Colorado Parks and Wildlife Commission to decide Thursday, yet the prospect faces stern opposition from local agencies that see the activity as a risk to public safety. “It’s just not a great spot to do it,” said Durango Police Cmdr. Ray Shupe. For years, paragliders used to launch from the top of Smelter Mountain on the southern edge of Durango, taking to the skies above town and using the area that’s now a 79-acre off-leash dog park as their landing zone. The launch site, accessed by the Smelter Mountain Trail, was historically located on the northeast boundary of Bodo State Wildlife Area, managed by Colorado Parks and Wildlife. But around 2010, then-Durango Police Chief Jim Spratlen asked CPW to prohibit paragliders, hang-gliders and other types of aircraft from using the area as a launch site based on a variety of concerns. According to Shupe, public safety personnel were concerned the sight of paragliders would distract drivers along the busy U.S. Highway 550/160 intersection, which could up the chances of an accident. Spratlen was also concerned, Shupe said, that the launch site is adjacent to the region’s public safety communications towers, as well as towers for radio and broadcasting, posing a risk should the pilot lose control. And, the fact the landing site was designated in 2003 as an off-leash dog park – the city’s only place where dogs are allowed to be off-leash – also increased the chances for conflicts between people and dogs at the park. As CPW reviewed the matter, the state agency determined that paragliding and other aircraft were not an appropriate use in state wildlife areas, said Durango-based CPW wildlife manager Matt Thorpe. Whereas the Bureau of Land Management and U.S. Forest Service manages land for multiple uses, CPW is mandated to use the land it manages specifically for wildlife habitat or for fishing and hunting opportunities. As a result of the conversation in Durango over paragliding off Smelter Mountain, CPW made it a statewide policy to ban all aircraft – which includes paragliding, hang gliding BASE jumping, among others – in state wildlife areas, Thorpe said. But recently, Randy Hughes, a Durango resident, petitioned the Colorado Parks and Wildlife Commission, asking the board to make an exception for paragliders at Smelter Mountain. The Colorado Parks and Wildlife Commission will discuss the matter at its monthly meeting on Thursday. Hughes said Monday the assumption that the sight of paragliders would distract drivers and cause accidents or create conflicts between people and dogs at the dog park are overstated. “It never has been an issue, and I don’t know why it would,” he said. Hughes said paragliders have complete control of their aircraft and choose where they want to land. And, he said the aircraft doesn’t make noise and wouldn’t be any more distracting than the rafts, train and other activities in the area. However, the Durango Police Department, along with the La Plata County Sheriff’s Office and Colorado State Patrol, sent a letter of opposition to CPW, asking the agency to uphold the ban, Shupe said. Thorpe, too, said the local CPW office still has the same concerns it had when paragliding was originally banned in 2010. Bodo State Wildlife Area, at nearly 3,000 acres, is an important winter habitat for deer and elk, he said. Cathy Metz, the city of Durango’s Parks and Recreation director, said the landing zone is on city property. The city hasn’t taken a formal stance on paragliding off Smelter, yet Metz said conflicts between paragliders and dogs are a concern. Since it was banned in 2010, CPW has written only one citation for someone trying to paraglide off Smelter Mountain, though Thorpe said people still make the attempt a few times a year. Hughes said paragliding off Smelter Mountain offers a unique experience: it’s easily accessible and can be completed in about two hours. Its location and topography, too, offers favorable conditions for the activity. He said he knows of about 15 to 20 people who paraglide locally.